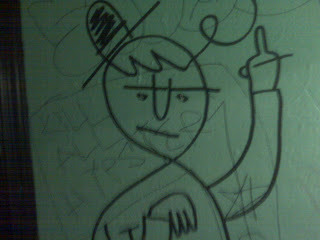 :: Construction Graffiti ::: Angry little man graffiti! Reader contribution by Johnny Cash again! Thanks, keep them coming!